When Do People Need A Notary? Thinking about becoming a notary, but not sure what all it might entail? Before you start filing your notary application Florida residents, it’s worth it to have an overview of what people and businesses hire notaries for. One of the primary duties of a notary is for confirming that signatures are signed properly by the correct person. In a process known as an acknowledgement, the signer must appear before a notary, be identified, and confirm that a signature is theirs and signed willingly. A notary may be required to recognize the contents of certain forms of documentation as accurate and complete to the best of the notary’s knowledge. This is known as a jurat, a process in which a notary personally administers an oath or affirmation in which the person signing off on the document promises it is true. 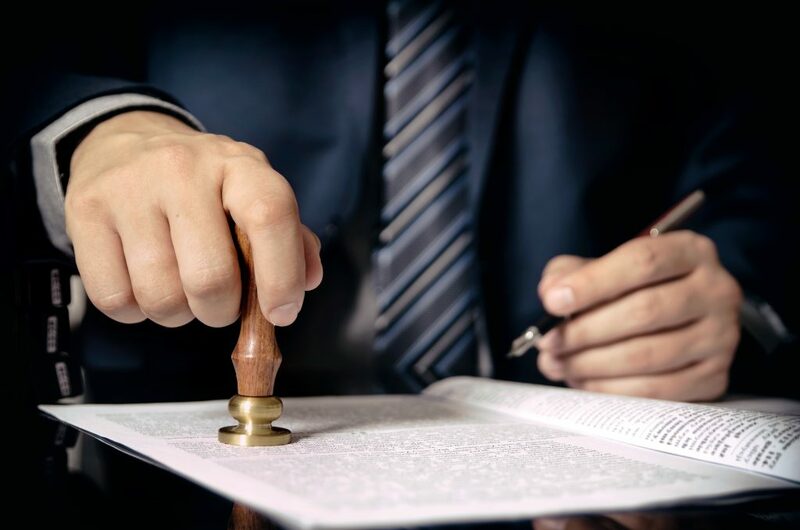 Certain verbal oaths require the supervision of a notary to be fully binding, similar to the one administered in a jurat but for any possible oath or oral affirmation. Specifically, an oath in this context is often defined as a promise on a higher being, while an affirmation is against the speaker’s personal honor. A notary may be required in certain circumstances to confirm the authenticity and accuracy of a reproduction of a document. That is, you must confirm that the copy is a full and complete representation of the original from which it is derived, with nothing omitted, added, or edited. Similar to, but separate from the duty of acknowledging signatures is a notary’s duty to witness signatures. Unlike acknowledgement, witnessing by a notary must be done in person at the time of the signature. While most notary duties fall into one of these categories, the specific responsibilities of notaries can vary significantly across jurisdictions, regions, or industries. Some governments, public organizations, or private companies may have other tasks which require the presence of a notary to offer legitimacy. Ultimately, the role of a notary is as a certified impartial witness, a responsibility which can encompass an endless number of specific applications.